In the Rang Panjab movie, Deep Sidhu plays an IAS Officer. A very much awaited movie coming up is Rang Panjab. 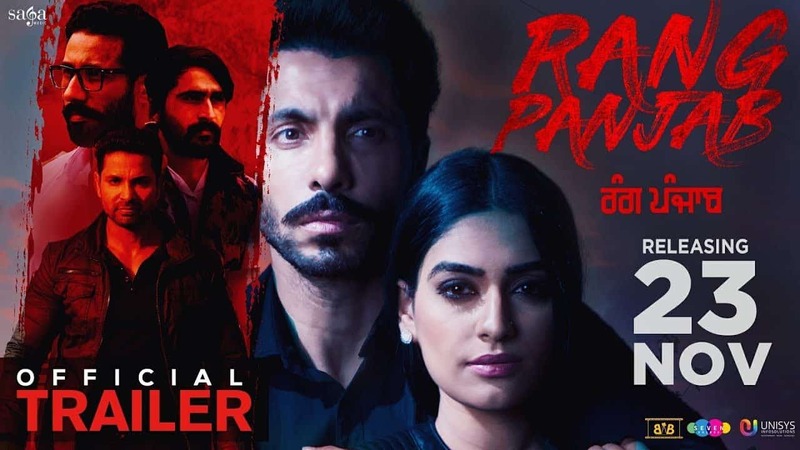 This Deep Sidhu starrer movie Rang Panjab promises to be worth watching. This is a beautiful track. This is a Sufi song. At the start of the song, the fields of Punjab are shown. Then, Deep Sidhu is shown driving an ambassador & thinking about something might be his past through his wind shield. The word ‘rang’ has been used many times in this song. Deep Sidhu is also shown sitting in Sukhna Lake, Chandigarh in deep thoughts. The song goes like ‘Mere Maula de rang mere Allah de rang… mere sai de rang mere mahi de rang’. A very catchy track has come up which is named ‘Afsar’ from the movie Rang Panjab. The song has been picturized at Panjab University Chandigarh, Sukhna Lake, Elante also in Chandigarh etc. Deep Sidhu is driving a motorcycle along with the heroine, Reena Rai on the back. They are also shown shopping in the song. They are also enjoying coffee at the Cafe Coffee Day(CCD). They are singing a song along the way. The song goes like ‘Afsar tu baneya tera nakhra maan nahi hona’. Then the song goes like ‘Main afsar lokan layee tera taan bharda paani’. 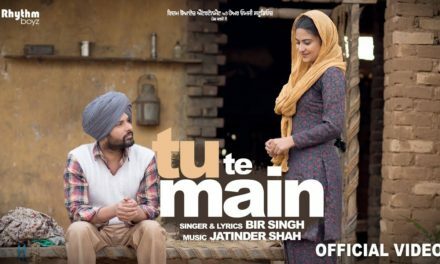 This song has been sung by Gurnam Bhullar & Gurlez Akthar. This is a bhangra track. The song features Deep Sidhu & Ranjit Bawa. Deep Sidhu in this song is without a turban. The song goes like ‘Sadda jor sadde yaar jinve hatthi hathiyaar’. Then the song goes like ‘O tu paali chall veham, nale kenha jeda time… chakk lene aa, ho chakk lene aa’. The song also shows the spirit of friendship. The heroine of the movie, Reena Rai is also shown. Everybody in this song are dressed in black. There are other lines also like ‘Taur naal asi hai jeyoni eh zindagi maut kolon darr ni langhauni eh zindagi’. We can also see men with armed weapons. Famous anchor Gurjit Singh is also a part of this song. Rang Panjab movie stars Deep Sidhu, Kartar Cheema, Ashish Duggal, Hobby Dhaliwal, Mahavir Bhullar, Jagjit Sandhu, Dheeraj Kumar, Baninderjit Bunny, Gurjeet Singh, Jagjeet Singh Bajwa, Karran Rattan, Reena Rai & Kamal Virk. Rang Panjab is directed by Rakesh Mehta. The producers of the movie are Mandeep Singh Sidhu & Raj Kundra. Music for this movie has been given by Gurmeet Singh, Gurmoh & Music Empire. Music Label is Saga music. Editor of this movie is Hardik Singh Reen. The movie Rang Panjab is directed by Rakesh Mehta. Rang Panjab is produced by Mandeep Singh Sidhu & debutant Raj Kundra. 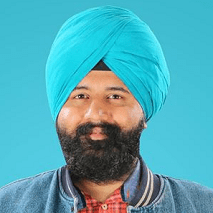 The movie is written by Gurpreet Bhullar. This is a beautiful track. This is a Sufi song. At the start of the song, the fields of Punjab are shown. Then, Deep Sidhu is shown driving an ambassador & thinking about something might be his past through his wind shield. The word ‘rang’ has been used many times in this song. Deep Sidhu is also shown sitting in Sukhna Lake, Chandigarh in deep thoughts. The song goes like Mere Maula de rang mere Allah de rang… mere sai de rang mere mahi de rang. The song goes like ‘Afsar tu baneya tera nakhra maan nahi hona’. Then the song goes like ‘Main afsar lokan layee tera taan bharda paani’. They are also shown shopping in the song. They are also enjoying coffee at the Cafe Coffee Day(CCD). 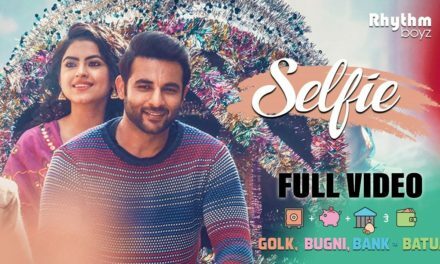 This song has been sung by Gurnam Bhullar & Gurlez Akthar. This is a bhangra track. The song features Deep Sidhu & Ranjit Bawa. Deep Sidhu in this song is without a turban. The song goes like ‘Sadda jor sadde yaar jinve hatthi hathiyaar’. Then the song goes like ‘O tu paali chall veham, nale kenha jeda time… chakk lene aa, ho chakk lene aa’. The song also shows the spirit of friendship. The heroine of the movie, Reena Rai is also shown. Everybody in this song is dressed in black. There are other lines also like ‘Taur naal asi hai jeyoni eh zindagi maut kolon darr ni langhauni eh zindagi’. We can also see men with armed weapons. Rang Panjab movie stars Deep Sidhu, Reena Rai,Kartar Cheema, Ashish Duggal, Hobby Dhaliwal, Mahavir Bhullar, Jagjit Sandhu, Dheeraj Kumar, Baninderjit Bunny, Gurjeet Singh, Jagjeet Singh Bajwa, Karran Rattan, Reena Rai & Kamal Virk. 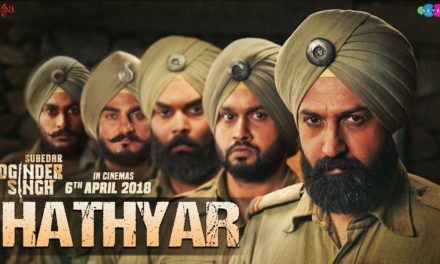 The movie is set to release on 23rd November 2018.